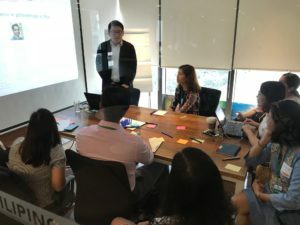 In the search for catalysing sustainable impact in the Philippines’ education sector, Asia Philanthropy Circle (APC), Ayala Foundation, and the Lee Kuan Yew School of Public Policy, National University of Singapore (LKYSPP), have joined forces to develop an Education Giving Guide that will assist philanthropic efforts in the sector. This Giving Guide was inspired by a report conducted by APC members in Indonesia: Catalysing Productive Livelihood, which was launched on 5 December 2017. (To learn more about it, please visit https://www.asiaphilanthropycircle.org/edu-giving-guide-indonesia/). The team conducting this project understands that education is critical to improve economic and social development. Limited access to basic education services has significant negative implications, especially among the disadvantaged population. Experts believe that despite current efforts, the country will struggle to make an impactful change due to the complexity of the problems surrounding its education system. Thus, philanthropists have the chance to positively impact society through innovative and unconventional interventions that can achieve what the government in its capacity cannot. To achieve this goal, the team has embarked on an exciting journey that engages philanthropists and the different stakeholders in the education sector, and invites them to exchange, learn, coordinate, and collaborate to achieve better outcomes in the Philippines. To better understand the Philippines’ current and future challenges in education, the first step consisted of desktop research, individual interviews, and an online survey responded by 30 organisations and individual experts. Then, the team needed to test the preliminary findings and survey results with experts, NGO leaders, and philanthropists who work on the ground. Thus an Ideas Lab was organised on 7 December 2017. This interactive session had the goal of adding depth to and building upon our thinking. In the Ideas Lab, there were 27 participants from various backgrounds related to the education spectrum, including issue experts and social sector leaders. The team gathered insights from them on the latest on-ground condition and prevailing issues. Then, we asked participants to discuss and gather their opinions on the four issue areas that they considered the most pressing. The Education Lab was very insightful and feedback was very valuable for the development of the Giving Guide. After considering the feedback from the ideas lab, the team finalised the landscape analysis and drafted possible recommendations that could scale up existing interventions or create innovative ones. 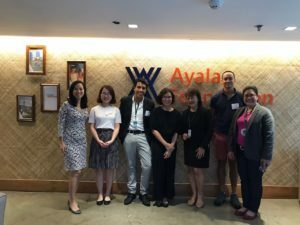 In order to do that, four areas where philanthropists can make the most impact from the broad education sector in the Philippines were identified. Through careful research and analysis, the team was able to define the final four issue areas, which include a) Education to Livelihood, b) Early Childhood Interventions, c) Teacher Quality and School Governance and d) Inclusive Education for Special Needs Groups. Based on the different steps of the information-gathering process, it is important to highlight that Monitoring and Evaluation should be included as a cross-cutting driver in all the final recommendations. As a next step, the team will conduct a series of in-depth focus groups on 31 January 2018. Experts according to the four different issue areas mentioned above will have an opportunity to discuss the feasibility of the recommendations and explore the possibility of innovative solutions. This will reaffirm our commitment to engage the different stakeholders so the process is inclusive of the different points of views and experiences. Finally, after incorporating the final inputs, the team will finalise the recommendations and incorporate it to the previous research. The final Giving Guide will be ready to share with the public by June 2018. An official launch event will be held in the Philippines where all stakeholders will be invited by APC and Ayala Foundation. The goal is to engage different organisations to champion the recommendations and put the Giving Guide into practice so that we achieve our final goal of improving education outcomes and improving people’s lives.